Posted on June 10, 2013 . 16 Comments. When I was a kid, a merchant marine friend of my parents gave me a treasured gift, a calendar with scenes from Enter the Dragon. The envy of all of my friends, the calendar stayed on the wall above my desk for years after its expiration. I could never have imagined that decades later I would become friends with Bruce Lee’s co-star. 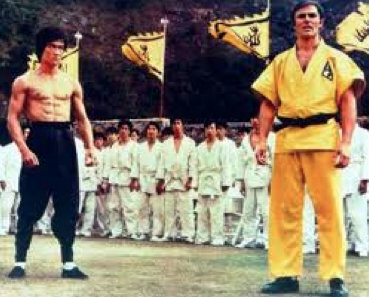 Bruce Lee and John Saxon in Enter the Dragon. John Saxon walked into a bodyweight strength seminar I was teaching at a martial arts school owned by another legend and friend of Bruce Lee—Dan Inosanto. John had been serious about iron since his teens and we quickly hit it off. We started meeting and training on the beach in Santa Monica. Several months of Enter the Kettlebell ladders later, seventy-two-year-old Saxon was strictly pressing a seventy-pounder. A decade later, Bruce Lee’s lethal grace is partly to blame for getting me bitten by the iron bug. Fast-forward a few more years. Several weeks ago, John generously invited me and my wife to the special fortieth anniversary screening of Enter the Dragon. We got to hear great stories from a panel of people who had made the classic film, as well as Bruce Lee’s daughter. John mentioned Bruce and kettlebells. Bob Wall reminisced about fight scenes. Then the lights went out and the iconic film lit up bigger than life. Aren’t you tired of being a “delicate wonder”? Pick up a moderate size kettlebell and press it once. Park, relax a moment, repeat on the other side. Rest for a few minutes and press the bell twice left, twice right. Then three, four, and five. The set of five will make you work but it should not be a killer. Then start over at one. The secret to success with Russian ladders is starting easy, building up to hard, and starting over easy again (as opposed to pyramiding). A miniature periodization cycle compressed into a single workout. It does not seem that hard in the beginning, but it creeps up on you, especially if you make it to 50 or so total reps.
Russian coaches and scientists are uncompromising—a high volume of quality lifts is the ticket to steady long-term strength gains. It may not be the most exciting approach, but it is nearly foolproof. The Enter the Kettlebell “Rite of Passage” never fails—it is the “delicate wonders” who quit. Thank you for all your work ! I’ve been following it for several years now, and it is a constant source of learning. But there has been also a kind of quandary that I am confronted with, and although I’m not sure it is the proper place to ask you about it, the martial art memory you summon feels kind of right. I practice Sistiema (Riabko/Vassiliev style). As you know (I’m simplifying), they emphasise muscle relaxation above all, tension being the main enemy. You emphasise muscle tension. They start every movement by a breath (mostly exhaling). You recommend, if I’m not mistaken, breath holding while performing a difficult physical task. Both methods have proven their effectiveness (I think, you’ve already been punched by Riabko and know what I’m referring to), and I guess that both methods have similar sources. And yet, I’m still struggling to make them coexist. What would be you’re advice ? Pavel, that is simply amazing. BTW a neat little side note, in the massive fight scene where Bruce finds out what they are really up to on the island one of the guys he beats the crap out of is none other than… Jackie Chan 🙂 The guy he really smacks the crap out of with the bo staff is jackie. Jackie said he played the hit up for days so Bruce would come talk to him. Possibly the greatest article ever written, My Dad and I would watch Enter the Dragon together when I was 5 years old in Lithuania back when it was the Soviet Union. I remember exactly the scene your talking about! Pavel, so awesome to read your articles and this story is amazing!!! The History of John, Bruce coupled with their prowess in martial arts is awe inspiring. Great post, Chief. As a girl I remember watching Bruce Lee double and triple features at the local theater with my brothers and being just as awestruck as the boys. Of course we would all pretend to be Ninja’s on the walk home and I believe my older brother even made his own nunchucks. As for ROP, I’ve never been stronger than when on this program. Simple, but not easy. Great to hear about one of my childhood movie heroes. I remember reading about Bruce using Kettlebells in John Little’s “The art of expressing the human body”. 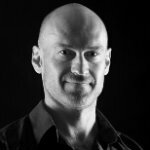 Amazing blog post, thank you very much Pavel! 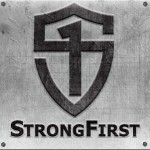 Got my first kettlebell last week, and man oh man, is this an AWESOME post! How interesting! I was always a fan of John Saxon. Absolutely brilliant. Thank you Pavel. Great timing for me as I’m on week 2 of the ROP. I need to watch this movie again. pavel bruce lee was very strong and very fast but but no one know he study with late ed parker the founder of american kenpo in U.S. once again thank you pavel ! Wow. Pavel you just set the bar higher again! Moving on to ROP again here in a few weeks after some PM cycling again.